KJV Titus 1:9 Holding fast the faithful word as he hath been taught, that he may be able by sound doctrine both to exhort and to convince the gainsayers. As you may know, the Prophecy of Daniel Chapter 8 through 12 is at hand, as is the Revelation of Jesus the Christ the Lord God Almighty, Chapters 13 through 17, regarding the Beast Sanhedrin revived. Donald Trump has no other course but to perform God’s will to bring Armageddon upon the world. Thus Trump will offer the daughter of women, jerusalem up to Sanhedrin for their mandate to build the third temple of their abominations. But she is not for them, but as stated before, she is reserved for the Day of the LORDS Wrath. The Son of Man has divorced this Harlot, spiritual Sodom and Egypt, the bloody daughter of women. Trumps pick for Amabassador to Itsreallyhell, none other than a Chabad Lubavitch of the SinaiGOG of Satan..
Satan worship, praying to a very DEAD and in HELL Ribeye…. My advise to the jews and Palestinians in Jerusalem, pay heed to the WORD of God, Matthew 24. 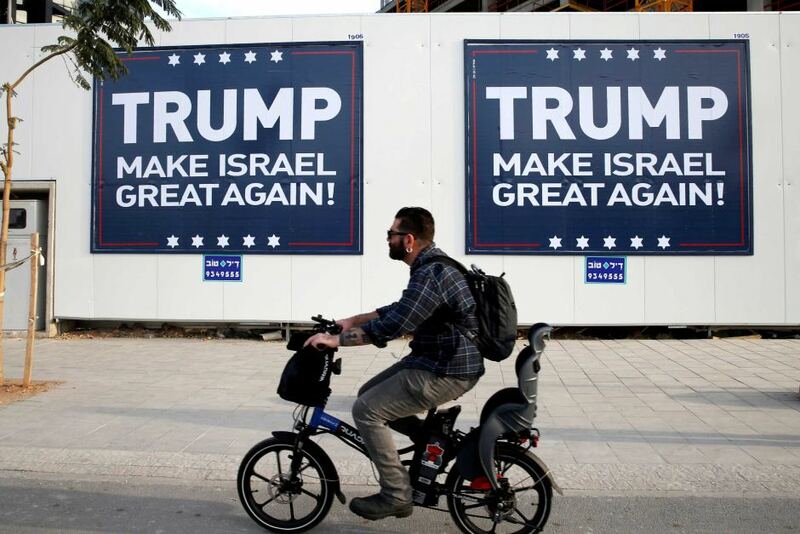 Trump will follow the Talmudic Script of the Prophets of Baa’l and by his hand the motion will be set as per Daniel 8, to bring the false GOG MaGOG war of the Sinai GOG of Satan by the authority of that Dragon that old Devil. Many can nay say, it does not matter, for the course is now set. The Publicans make certain it is done. I am certain if Hillarious Clinton had been elected, I would be writing of her, but what if’s don’t matter. The plan from Satan’s minions and their proselytes of the west, the Goat, is to make the move against Persia (Iran) the Ram as per Daniel 8, which will allow Satan’s Sanhedrin to “REVEAL” the False Christ, Moshiach ben david, the Man of Sin the Son of Perdition 2 Thes. 2. Obama, refused to Submit, keep that in mind and be un-deceived. Though Obama is not of Christ Jesus, even as Trump is not of Christ Jesus, these are only actors of GODS act. Better hide Obama, you are in the cross hairs. I said it 100 times, Obama kept the world from WWIII, now Trump will usher it in. Therefore Trump will aid and abet the slaying of the saints of Jesus. All jewish lies and fables of mass destruction, it was the jews themselves who called for these illegal wars against innocent nations. Since you signed this agreement, which gave you full legitimacy toIsrael Secret Intelligence Service….ISIS, proselyte Noahide murderers of MOSSAD and CIA start the process with Iran, hundreds of thousands of Arabs have been killed, this situation known as ‘Arab Spring’ has developed as a result of your forsaking Egypt, thus creating chaos in the Middle East and around the world in which weapons of mass destruction or their equivalent are provided by imperialist countries that support Iran or similar elements in different ways. Israeli Secret Intelligence Agency of MOSSAD and CIA, M15, KGB, etc. obedient Noahide murdering proselytes used to get the Synthesis, Ordo AB Chao for Eretz Itsreallyhell and their god, Lucifer. All the while Itsreallyhell blackmails the world with their Nukes and Mutual Destruction MAD, the SAMPSON option, the destruction of the twin columns was a foretaste…..
Gag Reflex Tester for today…. The world is under Talmudic jewish rule by the authority of Satan their god…. My advice to all the Inhabitants of the earth, Repent in the Name of Jesus the Christ the Lord God Almighty come in the flesh, Pray in that Name, Be baptized in the Name of Jesus for the remission of sin and Pray the Lord send unto you the Holy Spirit unto Righteousness, Jesus Christ the Only Most Righteous. The time is at hand shortly!. ← My Lord and My God, Who is Yours?